Banks face growing costs to comply with AML requirements. 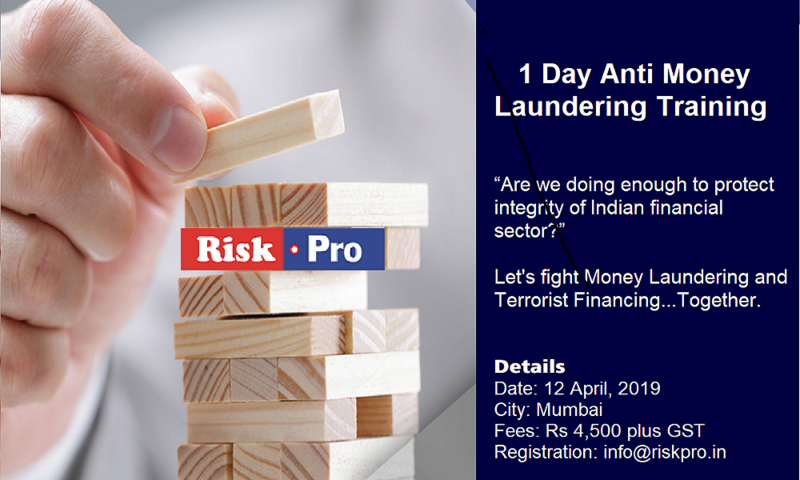 With a zero tolerance level in Money Laundering and associated large regulatory penalties for non compliance, Banks and other. The Black Swan can enter into any Financial Institute’s Branch on any given day and sting the Bank by surprise. The solution to the above challenge is the implementation of a formal and a structured AML Mitigation and oversight system and processes that effectively identify, assess, and manage such risk within acceptable levels. Rs 4,500 plus 18% GST (Pricing is per participant.